The past few years Zimbabwe has a witnessed an unprecedented growth in the number of vendors masquerading as entrepreneurs and bellowers pretending to be musicians. It is all because of our moribund economy. For many hope for change is pinned on the events of November 2017 and the pending 30 July elections. But for some like Baba Harare, hope is in their abilities. The man is not a pretender and has not sat on his laurels. The former musoja is literally staging a coup with each passing day. It was very brave for Braveman Chizvino to call it quits at the 3rd Generation at a time when his former boss was talk of town. Many critiques wrote him off after the release of his otherwise good album which was released for an unprepared market. Today it appears Baba Harare did not just have a vision but he had a clear-cut strategy of how he will get to the summit of Zim music. For all intents and purpose, this article is not meant compare Baba Harare and JP but I guess it is almost impossible to make some points without alluding to JP. Listening to Baba Harare’s music and watching the accompanying videos one is left with no doubt that he is the guy who gave JP’s music the ley appeal. Most of his videos depict the life most Zimbabweans live, a life of squalor and laughter. A life most of us identify with. Of course, it might not be good enough for all those other famed foreign stations but it readies the local audience for live shows. Baba Harare’s gets musical resources from our traditional music making it very easy to connect to his art. The Reason why for instance is a simple jiti sing along number. The easy-going Baba Harare is just accessible in person and he appears on his videos. Most artists are let down by their penchant for contrived opulence. Chatting with Baba Harare, be it on Whatsapp, Facebook or in person feels the same. He is a very humble and jocular character. Perhaps this humility is precipitated by the fact that he is yet to release a run-away hit? But he is already famed for his guitar antics. His signature lead guitar is noticeably missing on this former boss’s new releases. I call it the ruoko gwaProggie, for it sounds like Progress Chipfumo had a hand on it. I digress a bit. Point is Baba Harare is warm to be around and he personifies hunhu. 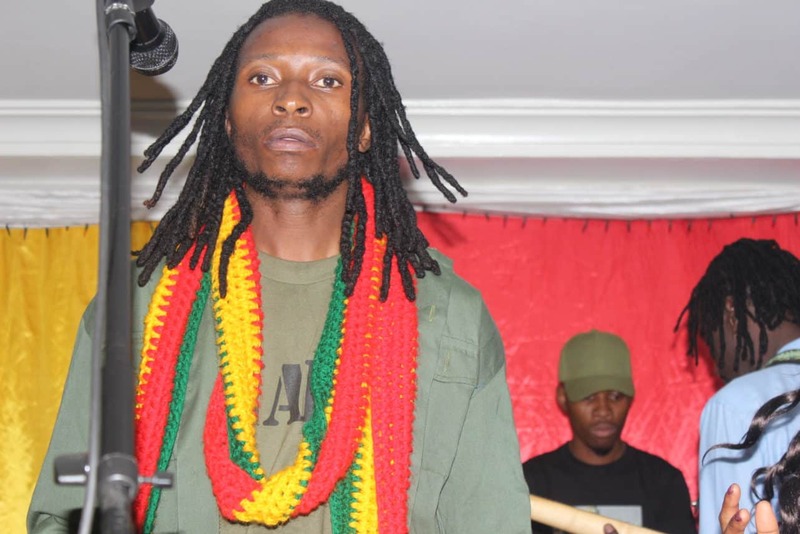 It is no surprise that Baba Harare is one of the busiest artists in Zimbabwe at the moment. His weekends are always booked. He has traversed around Zimbabwe taking his music to its real owners, the people. His stage act is a well thought out presentation. He is one of the very few artists who know how to perform a presentation. Following in the footsteps of Macheso Baba Harare is creating and naming dances for his music. The makageza here is currently a favourite of show goers. I will not do injustice to the routine by trying to explain it. I am however sure those among us who have wild imaginations are wondering kugeza pai? Kugeza sei? Who will blame them after all Baba Harare seems to enjoy gyrating at every turn that he steps in to dance. Baba Harare is a workaholic of sorts. He released two albums in one-year, numerous videos and he is currently working with Oskid on a song titled Rwendo Rurefu. His work ethic, humility, and a business acumenship will sure propel Baba Harare at the summit of the Zim music industry. When that day comes we will revert to this article and point out ‘We saw the Coup coming’.